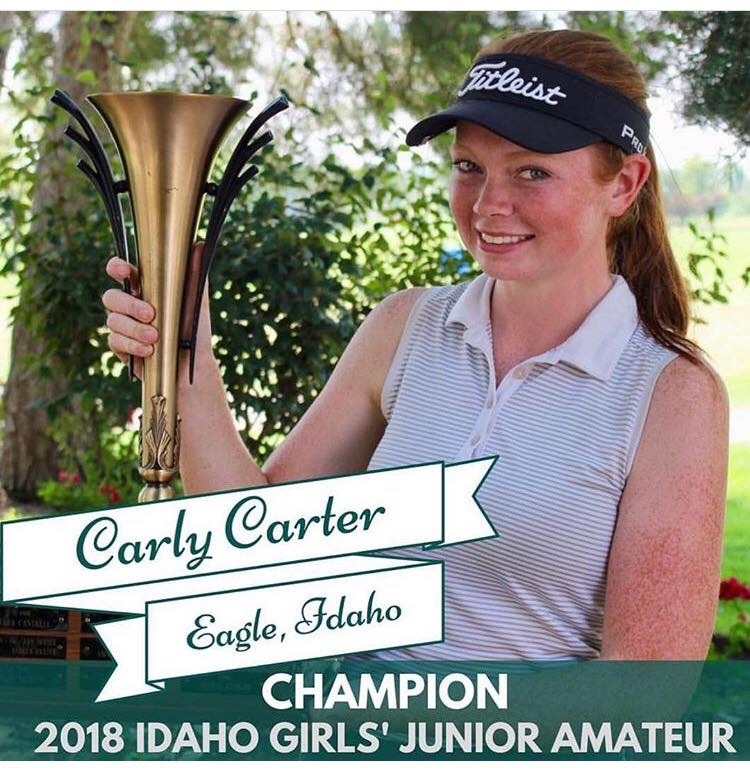 Congratulations to Carly Carter, Paul Weyland Golf Strive for Excellence student, for becoming the 2018 Girls’ Idaho Junior Amateur Champion, with scores of 71, 72, 74. Carly played in the 13-15 age division. 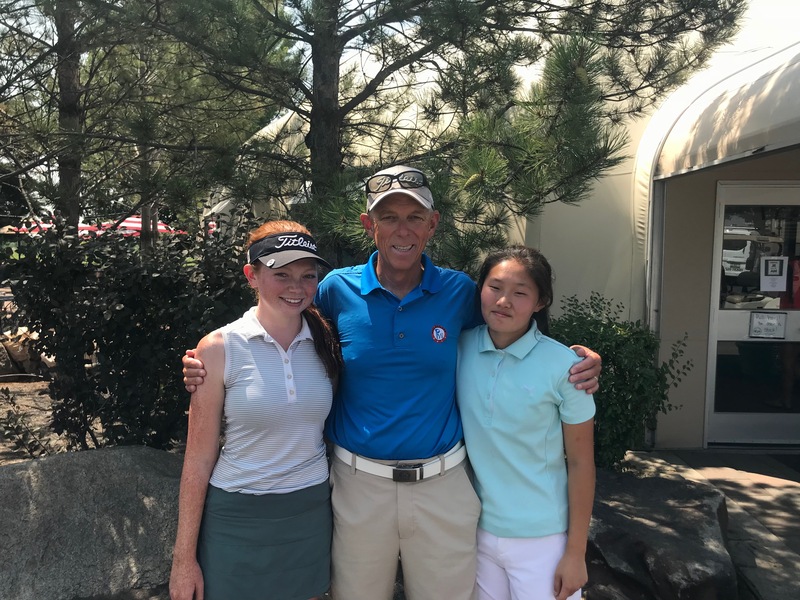 She not only won her division, she won the overall championship by six strokes over another PWG Strive for Excellence student Christine Cho. Christine was also in the 13-15 age division and placed second overall by eight strokes with scores of 76, 72, 75. Well done girls! I’m very proud of you both. 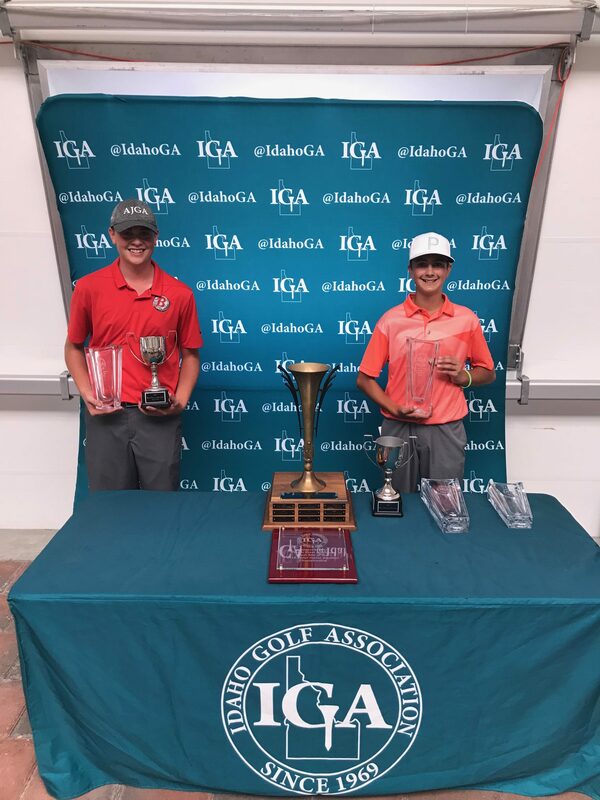 Congratulations to Taylor Mortensen, Paul Weyland Golf Strive for Excellence student, for becoming the Boys Age 13-15 division Idaho Junior Amateur Champion with three day scores of 70, 66, 72. Taylor won his division by three strokes. This was a big win for Taylor who held the lead after day two. He posted his lowest score ever, 66. Well done Taylor! Zach Carter, Paul Weyland Golf Rising Stars student, who is 12 years old played in the Boys 13-15 division and placed T5 with scores 74, 73, 77. Zach recently scored a 78.5 on a TrackMan Combine. He’s one to watch! I’m very proud of my students and how they played in this tournament. We have been having extreme heat in Idaho this summer, and these juniors were playing in over 100 degree heat with poor air quality from the California wildfires. This tournament was played at Falcon Crest Golf Club, where I am Director of Instruction. It is hilly and demanding to walk. This tournament was an endurance test in these conditions. My students were prepared to play in these conditions. They train with TPI Certified Fitness Professional, Casey Crowell of Idaho Fitness Academy, and are learning that being physically strong is very important for endurance during a demanding tournament. I also coach my students on the importance of staying hydrated and nourished during their rounds. This is extremely important and was especially important in these conditions.